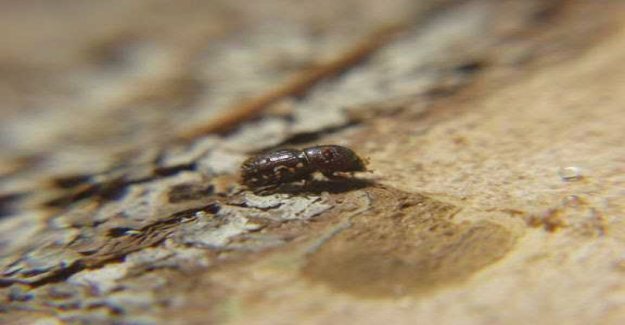 "Bark beetle presence damaged more trees than fires"
"Granbarkborren has damaged significantly more trees than the summer's forest fires in 2018. Granbarkborren is estimated to have destroyed between 3 and 4 million cubic meters of timber 2018 and skogbränderna 2.1 million cubic metres." "worse still, it may be in the year if the summer is dry and hot, warns the Forestry commission, which made the compilation. Therefore, the need of forest owners to keep their eyes after bark beetle presence in the forest, who had previously been infected. Found skadedjuret in areas larger than half a hectare of this forest immediately notified for logging, writing the authority in a press release." "In Halland has also skarptandad barkborre begun to spread. It will normally only be north of the river Dalälven, but now has infested pine trees are found in large parts of Halland." "In the four northernmost counties are multiskadad young, a growing problem. It's about the attack from the skadesvampar and damage caused by älgarnas bait." "Last summer's drought also destroyed forest, but the extent to which the trees will be able to recover remains to be seen."